With the holidays behind us and the cold weather finally setting in, our next party seems farther away than we’d like to admit. 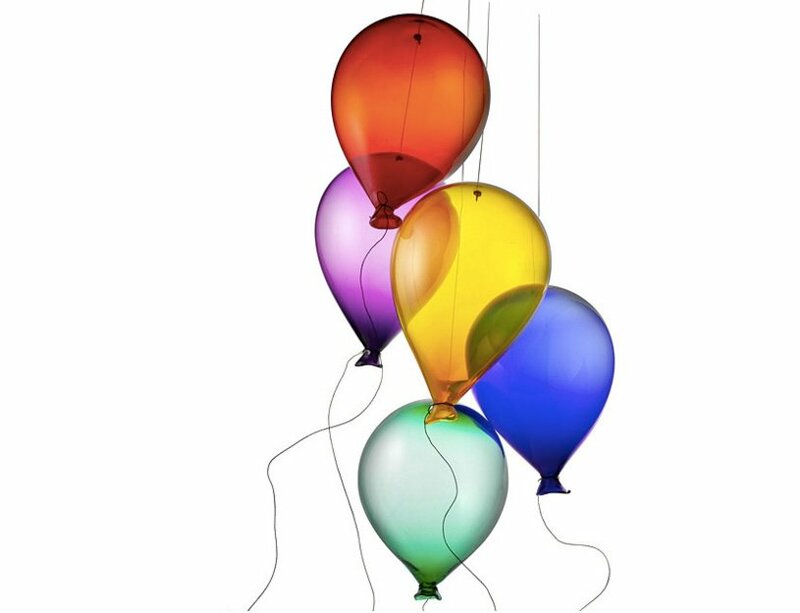 With most of us our days spent either in our office or our apartment, why not invite the party into your living space with these vibrant hot glass balloons from artist Robert Kuster? Mr. Kuster started blowing glass as a second career, but has since achieved more success than most artisans do in their lifetime. His beautiful chandeliers currently hang in prestigious galleries, magnificent homes, hotels, upscale restaurants and public installations across the country, and now your New York apartment can be added to that list. These vibrant round masterpieces are handblown by the artist himself and available in five jewel-tone colors including orange, yellow, green, blue and purple. Each ballon comes complete with thin metal wires barely visible from below. You can learn more about Robert Kuster and his work here, and purchase a ballon for yourself at Uncommon Goods.